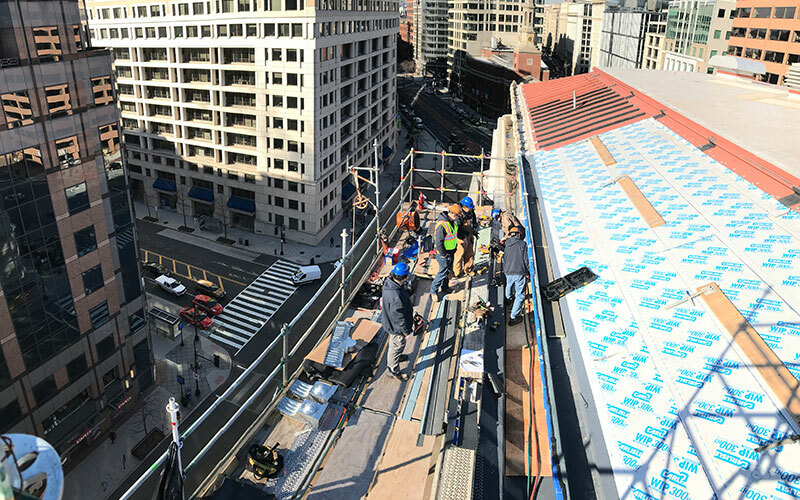 We specialize in the historic restoration of institutional churches, schools, government buildings, etc…, as well as commercial buildings and private residences. From repairs to replacements, we have craftsmen experienced in working with all types of roofing systems and materials. 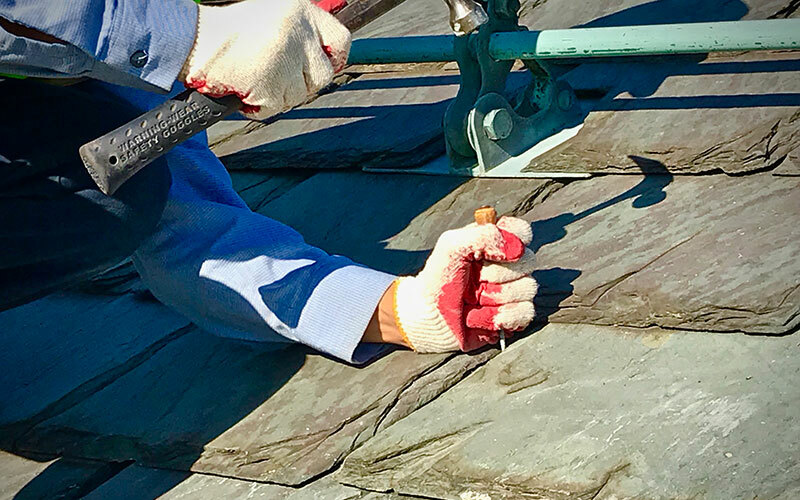 We specialize in the restoration, replacement, and preservation of copper, slate, and tile roofing on historic buildings. 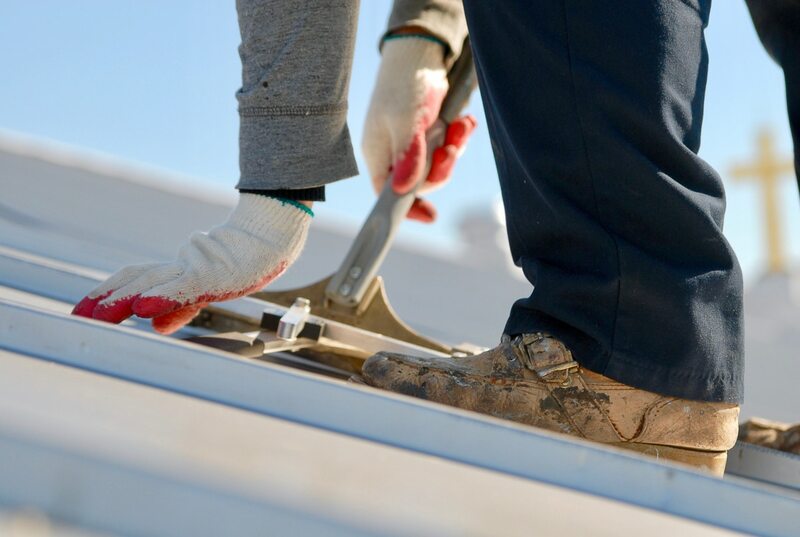 Our Service Department is equipped with skilled teams of roof and envelope repair men for your home, business, or property management needs from repairs to emergencies. Whether it be an active leak or routine preventative maintenance, we’ve got you covered. 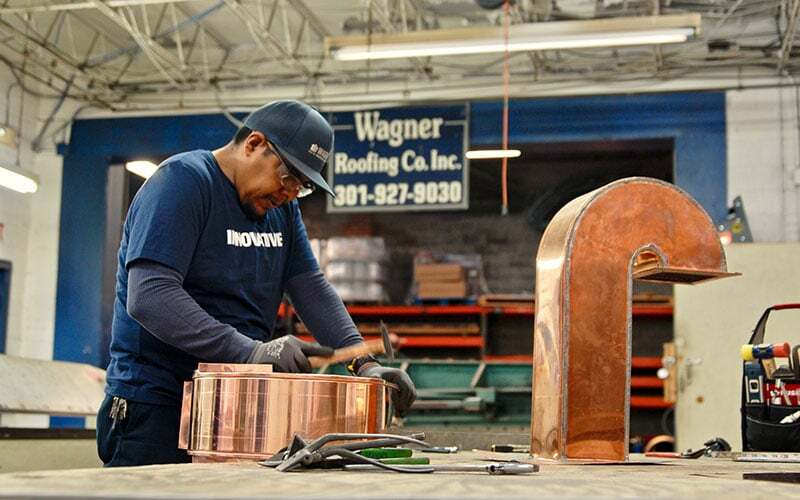 Unique to other roofing companies, Wagner Roofing owns a large custom sheet metal fabrication facility and warehouse in-house, which is operated by a highly skilled team of sheet metal fabricators. 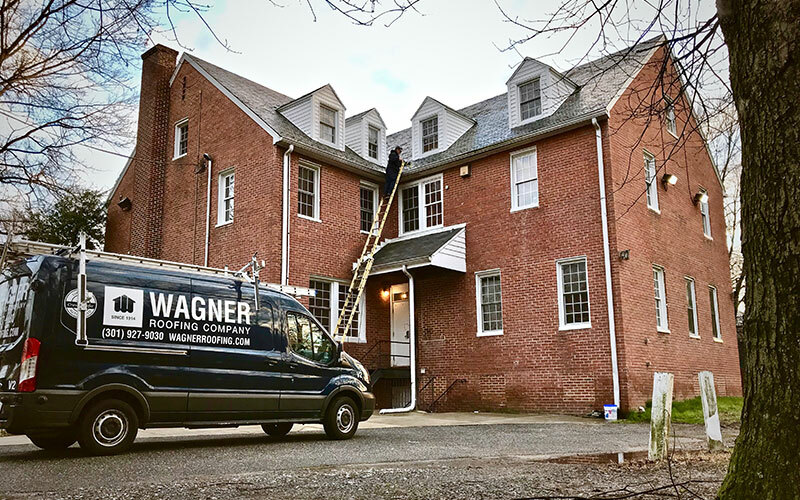 Wagner also offers general contracting services for restoration projects that extend beyond the roofline. Please call for more information.